← Do you study the Scriptures Paul studied? Image | This entry was posted in A Thought..., Visual Scripture and tagged ends of the sky, no child left behind, rapture, regathering, second exodus, wilderness. Bookmark the permalink. 40 Responses to God’s Word, concerning the regathering…. The Divine Promises of “Bringing them INTO the Land fills many pages of the Tanach, right from Exodus, then in the Wilderness, to the Land, in the Land and again when we are exiled from the Land. HOWEVER – these Promises were always CONDITIONAL upon observing His Torah. If not, the Land will spew them out. Like Abraham’s Blessing – ALL Christians and non-Jewish believers claim it, yet they rebel against the Torah the way His mandated Lawgivers (Judah) interprets and proclaims it. Will He this time ignore those conditions for which He exiled 10-Israel into oblivion while Judah maintained their Identity as Torah Proclaimers? Will He receive His rejected Bride back while she is yet doing exactly what He divorced her for. viz. reject His Torah as proclaimed by Judah? Scriptures too many to mention here in Chronicles and Kings. READ. Christians in general have historically rejected some important parts of the Torah. Feasts, dietary, Shabbat, etc. I do not disagree. Within the more recent Torah Awakening happening worldwide, the Torah is not being rejected, however, you are correct to state that how Judah proclaims and interprets it is often rejected. But, why? 1. According to current Rabbinic rulings, even Abraham can’t make aliyah. 2. 90%+ of those who stood at Mount Sinai can’t make aliyah. (They were Israelite, but not Jewish and there is a difference). 3. Causing Ephraim to convert to Judaism is moving boundary markers. There can be no fulfillment of critical prophecies if Ephraim becomes part of Judah. 4. Rabbinically, the majority opinion wins the day. Scripturally, That is never the case. The prophets of Hashem always stood alone with the unpopular opinion. I bless you and thank you for working on our behalf, but just as I pray for my brothers of Ephraim to Shema, I pray the rabbis will return to the clear written Torah without anachronistic interpretations that build walls instead of tearing them down. – The Torah Restorers of Ephraim generally reject “how Judah proclaims and interprets Torah”. They therefore reject the Rabbinic interpretations and opt for their own interpretations “according to the literal Word.” They claim that the Rabbis err and have annulled the Torah with their man-made interpretations. THIS is exactly the problem which caused God to reject ancient 10-Israel and break down the Super World Empire of Solomon (a greatness that history conceals) exiling 10 of the Tribes into oblivion amongst the nations. The Prophets defined this as a Divorce – Marriage broken up, End of Love Story – Kingdom destroyed. He rejected them for their rebellion against the Divinely mandated Mechoqeck (Lawgiver faculty) of Judah in Jerusalem (Gen. 49:10;http://www.revelations.org.za/the-scepter) – the ongoing Justice faculty of the God of Israel since Moses and the later 70. These Ten Tribes also preferred their own interpretations and subsequently changed the 7th month Feasts into the 8th month and built golden calves, discouraged the Tribes to go to Jerusalem or to learn from the Rabbis of Judah. SAME story as today. Ten Triber / Ephraimite teachers and commentators discourage their people from listening to the Rabbis of Judah who have been mandated by God to call the rule (the way they understand it and decide it) UNTIL Shiloh comes Who shall rule over the nations – and that has NOT happened yet and certainly does not refer to the current rule of their Messiah Whom they claim is that ‘Shiloh” and thus now ruling. To call the current world rule situation “His Kingdom” would be a gross insult to a righteous Ruler-to-be. In fact, Scripture proclaims Judah as the Kingdom after the split of the kingdom of Solomon. 2 Kings 17:18 notwithstanding Judah also failed Him. It is not “how” the rulers interpret Law which justifies their appointment, but their actual election – this applies to rulers all over the world. The USA has a new ruler who has been elected in a long string of historic rulers who each interpreted and ruled the way they thought it to have to be. This applies to dictators as well as democrats. And the nation simply have to bear it for the appointed time of election or overthrow the government in civil riot. This applies to God’s Kingdom as well. In the absence of His physical Presence, He has taken sound care to present interpretation of His Torah, by appointing Judah as His Lawgivers (Ps.106:6,7; Ps. 108:8). The “Written Word” which Ephraim claims to stick to relentlessly (though according to thousands of diverse interpretations) after all consist of FIVE Books only – a relatively thin book as constitutional books go) to rule an entire World!!!??? Wow – so0meone surely has to interpret it. And to leave that to Tom, Dock and Harry is a recipe for CONFUSION. Surely, a Super God like the God of Creation would not leave His creation whom He intends to judge one day, to the winds of free interpretation? One question: “Why then the confusion of interpretations?” Only arrogant self pride could make such claims as to be “ONLY right”. Surely Super Wisdom would appoint someone or somebody to take care while He is not physically present to proclaim the rule and while He is not in physical contact with enquirers? Is this too much to solve? Can it be let unmanaged? And to top the questions: Would not the resistance in the spiritual world be exactly there where the Troth or the real authority lies? Is that not after all why Judaism and Jews are hated all over the world – for they stand as tokens for His Word? And this is the very reason why Torah restorers should JOIN the original core which, after all, has survived the onslaughts of millennia. Not to exchange their Tribal identity for a Judah identity – but simply to identify with HIS Torah as interpreted by His appointed Lawgivers – and then become the target of Torah opposers throughout the world – the followers of the Opposition by Satan the Fallen Angel who also rebelled against His authority. Is this not what the Restoration of Israel is all about and which all of us who read debates like these are seeking? Personally, I would rather be found wrong in the Judgment for having followed the errors of His appointed and mandated Lawgivers, than to be found wrong in following one of the myriads of Rabbinic (Mechoqeck) opposing teachers in the world. At least, I’ll have an alibi which a Just Judge would NOT be able to reject having appointed that ‘erring’ faculty Himself!. And if found guilty, I would then at least find myself in the company of prophets and men of God who followed Rabbinic interpretations, yes, even the Messiah Himself Whom 10-Israel proclaim, for he defended and directed seeking believers to “the Scribes and Pharisees” while being an acknowledged Rabbi Himself – Math. 23:2, which Ephraim also contorts to his own destruction. Mean time – I am proud to be a Jew. I have come Home – no more squabbling and bickering causing more and more division. I am part of God’s Restoring 12-Tribed nation – not of an ‘apartheid’ seeking 2-State solution pushing vendetta. ONE nation, agreeing to disagree while following at best the leadership which have preserved Torah Judaism for 3500 years through the most vicious onslaughts that any nation can endure. And there is NO reason why Aliyah cannot be achieved by anyone who wishes to abide by the governing rules of the State of Israel which, whether secular or not, are the closest bound to Torah of any nation on earth – most of which are not bound by even the thinnest thread. Can anyone offer me a viable alternative? When His people can find the way Home to all stand together, then only will He Come to Rule Personally and fix all misunderstandings. This is what Kol Hator Stands for and promotes. Please join our Vision – the Vision of all Scripture and Divine Intent: One 12-Tribed Nation under Torah (His Will) Rule. Thank you for your lengthy reply. There is much here to discuss, so I will only touch on parts. My first question to you is, Who has brought about this Torah awakening among 10-Israel? Is it the Rabbis, or Hashem? My next question is, Who then is responsible to clean up the messiness and bring this to maturity? Is it the rabbis or Hashem? If your answer to either or both of those questions is Hashem, then it would be wise for us to not touch a holy thing by trying to force it into our own little box. I believe this is a work of Hashem and it is wise to let Him by His Ruach direct and guide this thing to maturity. That means being willing to patiently deal with the messiness and trust that His ways are higher than ours. They claim that the Rabbis err and have annulled the Torah with their man-made interpretations. It is not a baseless claim that the Rabbis have erred and have annulled the Torah with man-made interpretations. THIS is exactly the problem which caused God to reject ancient 10-Israel and break down the Super World Empire of Solomon (a greatness that history conceals) exiling 10 of the Tribes into oblivion amongst the nations. Actually, no. You are mixing two separate events in history to make your case. The Kingdom of Solomon was split by Rehoboam, who held the scepter, because he was unwilling to lighten the load on 10-Isreal. Rather, he wanted to ‘give them a yoke they could not bear.’ This is a problem dealt with in Acts 15 and a problem we deal with today. A further point, neither Rehoboam nor even the House of David at this point had the authority to interpret or teach Torah. That belonged to the Levites. The whole rabbinic system did not come along until the Babylonian exile and anachronistically assigning that to the House of Judah is just plain bad history. No, God didn’t define this as divorce, He actually divorced them. The prophets were simply the messengers, and, ironically, many were not from the House of Judah indicating God does speak through others to His people. An additional clarification is that to my knowledge, Scripture never says that the reason for rejection was because of rebellion against Judah. The rebellion was against God and His Torah. God always says to return to His Torah, not to return to Judah. the ongoing Justice faculty of the God of Israel since Moses and the later 70. Again, an anachronistic interpretation of Scripture. Moses was of Levi, not Judah. The 70, according to a simple literal reading of Exodus 18 and 24 were from across all 12 (13) tribes. These Ten Tribes also preferred their own interpretations and subsequently changed the 7th month Feasts into the 8th month and built golden calves, discouraged the Tribes to go to Jerusalem or to learn from the Rabbis of Judah. SAME story as today. did not make the change. That is the guilt of a single man consolidating to himself a kingdom. Kol Hator, I can keep going, but this is more than sufficient to demonstrate that BOTH houses have things that need to be cleaned up. If you promote and cause Ephraim to convert to Judaism, you have moved a boundary marker, a violation of Torah. Further, you make impossible the fulfillment of prophecy that demand both houses to be visible and individual (though not necessarily separate) entities in the world. In time, yes, we will be brought together, but only by the hand of the Moshiach. Bottom line is this: as long as the rabbis deny the Godship and Messiahship of Yeshua the Nazarene, we cannot come under their authority. We can and will learn from, cooperate with, pray for, and love them, just as brothers are supposed to do, but we cannot subject ourselves to an authority that denies the One we know to be YHVH in the flesh, and Who has brought us into this Covenant relationship with Himself. We don’t ask our Jewish brethren to believe this, but we insist that they respect our beliefs. That is the baseline for continued dialog. I ask again the first question: Who is causing this Torah awakening among, primarily, Christians? The Rabbis, or Hashem? If Hashem, and it is principally among Christians, then who besides Yeshua ben David haMoshiach is the reason? We respect the role of Judah to bear the Torah through history and demonstrate God’s covenant faithfulness to the world. Please respect the role of the house of Israel to carry the God of Abraham, Isaac and Jacob to the ends of the earth and proclaim the manifestation of Yeshua haMoshiach who now awakens and begins to gather His people from the ends of the earth. The time is coming when Ephraim will again be joined to Judah and will actually fall under the leadership of Judah, however, this will not occur until both sides acknowledge their respective errors and return to Torah and submit to the headship of the One who holds the scepter. Blessings, brother, and it is a joy to be on this journey of restoration with you, even though at times the discussion can be rocky. Hashem is sorting this out, one day and one conversation at a time. May open and honest dialog continue. and for me remains only to express my thankfulness to my faithful brethren Pete&Al for putting some essential points in matter of truth together in their answer and when i read it my heart was jumping for joy and my mouth shouted HalleluYah! amn& amn. Wonderful! Open, honest dialogue. May the Ruach Himself be the mediator and may we soon see the house of Israel returned to the Land. Such an interesting conversation. For me the bottom line is He is going to restore us in the way He decides and not us, we should all be grateful for that. Thanks Pete for your responses. You say that “there is much here to discuss” between us and that you will start with a few questions. You then raise several questions, based on your differing with my stated views regarding your article “God’s Warning about the Ingathering”. We did agree on 2 major points there but you now tumble every comment I have posed in this regard – and that while we agree on 2 main issues regarding the Ingathering. Wow! How will we ever find common ground? But this is exactly where true reconciliation comes in. And without such reconciliation there can be no Ingathering for the two Sticks have to share the SAME Land. And 2730 years of division between Judah and 10-Israel have proven that it can NOT be done – we need to reconcile first. So, we need to try something new. Which is why we of COI (Commonwealth of Israel) and Kol Hator have embarked on a strategy to “Agree to disagree” on the things that divide us and to build on that which we do agree on. And it works! As proven by our 2nd International Reconciliation Conference just completed 2 weeks ago in Jerusalem. Fifty years of fielding such conversations have taught me that whatever answers I pose to your questions. We will NOT agree. Yet, there remains much on which we can BUILD bridges across our differences – and the greatest of these is that we all aim for “making ONE Stick of the Two.” It is just the practical implication of this which bogs us down. But we had better find a solution. The easy escape here is to lumber HaShem with this obligation while we walk on, rejecting each other – or, at least, shunning each other, refusing co-operation which means remaining separated and divided. Scripture is clear: FIRST make reconciliation, then bring our offerings to God. The Rabbis teach that the Shechina (presence) of HaShem left us when His Kingdom split into two, in the time of Solomon. Common sense should dictate that He will not fix it as He waits on us to do the hard work by humbling ourselves – BOTH sides! Only when WE have reconciled, become ONE, He will Return to take over World Rule. It is like a human divorce. You cannot mend two broken lovers – not even God can or will do this. THEY have to find each other again and restore the love affair ACROOS the broken bridges. This has been my repeated question to Bney Yosef: Why do they refuse to pursue Reconciliation with Judah? Why are we not welcome at their Conferences? Our doors stand wide open to welcome them but …..! Doubtlessly: HaShem. Though Rabbis are well aware that re-awakening must come and have predicted this throughout the ages. 10-Israel has ben blissfully unaware of this trend and only in the last few decades have returned progressively to Torah. This is the part that Rabbis have to fix, to realize that the Time has come and to receive 10-Israel back. We make it our business here in Israel to try and enlighten them – not an easy task. And without such awakening there can be no Reconciliation. Neither. Just like in the case of sincere repentance, the INDIVIDUAL returnee has to mend his/her ways. HaShem s not a puppeteer. He no doubts does the Calling. There would be NO re-awakening without it being initiated by HIM. But, then the ball is in our court. WE have to comply. The Bible confirms this from Pg 1 and throughout. – God called them out of Egypt, but THEY had to do the walking, the warring, the sweating, crying and persisting. HaShem placed the obstacles in order to test and improve them – just as He does with every human being on earth. He imbued man with a free mind and choice, “Choose the right Way … why do you choose death?” And death then results for those who choose wrong. Examples abound in scripture. The Exodus is a good example. God called Moses, tempered Farao. Then the exit came – only the 1st day Israel was under His total control – just needed to move. He did it all. From the 2nd day onwards it was over to them. Farao pursued them. Yes, He opened the sea, but got annoyed with Moses when he wanted to start praying at the sea shore for the sea to open. Only when they walked into the sea in faith, to drowning point, He opened the sea. Read on … day after day the same experience. God does not raise puppets – but soldiers who can war against evil and overcome. This then answers your own conclusion on this question. And yes, we disagree. Making Peace with each other is NOT “forcing an issue”. It is our basic duty and mandate. How on earth can we expect HIM to fix what we do not wish to do? When we have stolen, He commands us to return the goods BEFORE we ask Him forgiveness. How convenient to thrive on the ill-gotten gains and expect HIM to fix it. This is Christian teaching – not Torah. Yes, we do have to force ourselves to comply – then we will receive forgiveness. Judah and 10-Israel owe each other much for 2700 years of hate. In one war in ancient Israel alone, half a million Ten Tribers were killed by Judah. Wow! Does God take this lightly? Did He take it lightly when under Jeroboam, Ahaz and Jezebel, etc. HIS nation (10-Israel) rejected the Mechoqeck (Lawgiver) status that He mandated upon Judah. He pulled the carpet from under their World Empire of that Time and exiled them into oblivion. Ten Tribers (and I think you yourself) insists that it was for Taxation by judah. This is NOT what Scripture defines as the reason. It was their rejection of Torah as interpreted by Judah. But we won’t agree on this … so, let us agree to abide by torah TODAY – this would do much to bring reconciliation. And let us TOGETHER repent for having bad-mouthed each other for 2700 years and unto this day. Let us make PEACE on that which we do agree about. This is what HaShem wants from us – BOTH sides. 3. Your next point regarding the Rabbis erring and having made their own man-made rules – and admitting that it is their right to dos so. I wonder if you have taken the trouble to read the Mechoqeck study – and there is a great ‘Messianic’ version of it at http://www.revelations.org.za/judah-the-lawgiver-of-god/ It is long – with many surprises. Watch the side menu next to the article. It is another well proven experience, that people will argue the point of judah’s Divine mandate, declaring it man-made, but they REFUSE to read the may confirmations from scripture on this concept. And it is NOT a concept which Judah even claims. READ it then come with further rejections – and no doubt there will be many. However, many peop[le have been convinced by the clear cut sense of this Biblical Fact. Perhaps that is why many refuse to read it? Hmmmm…. Read what you say: Correct … Written Torah gives 7 or 8 rules concerning the most important Day for the Creator, a Sign between Him and His people. In those 7 or 8 rules there are NO indication of when the Sabbath is. “Seventh Day” is a very broad statement. When? Why do you start on the Sicth day at sunset? (Some newby Ten Tribers have now decided it must be from Saturday morning . Others say it must be world-wide at the time the sun sets in Jerusalem, making iit Friday morning in USA. Confusion. Someone has to make the rules? Who? Which ten Triber? O, they go by the written Word. The written Word does not say. Neither does it give any indication of what a Mezzuzah is. Neither dioes it give specifics for dozens ( certainly thousands) of real life situations which have to be handled by the relatively THIN Law Book of the Bibel (Gen. to Deut) to run an entire World, socially, morally, legally, agriculturally, scientifically, mechanically, medically, financially, technologically. SOMEONE has to interpret it … and many do: rabbis, preachers, evangelicals, pastors, popes, etc etc. And ALL make their own Oral Torah interpretation, i,e, man-made. ONLY when it comes to Rabbis it becomes ‘evil’. C’mon! Smell the rats! A Company needs a CEO; a ship a captain, an air plane a pilot, a country a King or ruler. How much more HaShem’s Kingdom? And Judah has managed to keep it going for 3500 years through one persecution after the other – and Israel is a Leader amongst leader nations once again only 70 years after its re-birth – still based majorly on Rabbinic Torah guidance. If you really believe that He is HaShem in the flesh, YHVH – a fact that horrifies Jews, you have to first of all understand before insisting on their agreement to your Oral Interpretation … if you truly believe this, then please consider: Is YHVH not the God Whom Jews worship? So, now because they cannot accept your interpretation of His Manifestation as a Man, while He sits on His Heavenly Throne, is He not good enough for the Jews to bring them through? Why do you insist that they must accept His Manifestation which their great respect for His Deity does NOT allow for? You believe that He Covenanted you to Himself. Is Judah not covenanted to Him? Can you show me one Scripture where it says that HaShem broke His Covenant with Judah. There are many that confirm the annulling of His Covenant with 10-Israel. So, are you then not re-covenanted to the SAME God as the Jews, YHVH? Why do they need ‘another’? If you insist on this, it simply means that you are presenting your Messiah as a God ABOVE YHVH – and this is DANGEROUS! Once again, COI and KHT strategy is to worship the God of Israel (of the Jews) which ALL agree on. After 2000 years the Messianics still have not managed to conclusively decide who their Messsiah is. Jews are equally uninformed and unsure of Who Mashiach ben David will be when He comes – man, Prophet or God, with few opting that He will be God. For the sake of Peace in His Family, Household and nation. Let us agree and concentrate and build bridges on that which we DO agree upon. And if you refuse this, then you really owe yourself an answer. Ovadyah, understand what I have said. We do not expect Jews to accept our belief that Yeshua is the manifestation of YHVH, God of Abraham, Isaac, and Jacob, and is Messiah. However, we do insist that you respect our belief. Are you willing to respect our belief? Or do you insist we deny our Messiah in order to become part of the nation of Israel? If the latter, then you are preaching a message of conversion which we cannot accept. Thank you, Al, and I concur. We make no demands that Judah accept Yeshua, however, Judah must respect our belief/understanding that Yeshua is the visible manifestation of YHVH, Elohim of Abrahm, Isaac and Israel. Why do you pass thr ball now to our court? Do you mean what you wrote/said? If so, then it closes all reconciliation from your side whether Judah respects uyour belief or not. You have closed the door – for Judah is not going to accept ‘another’ God to whom they have to covenant. You say it is the same God (YHVH). You did not answer my question why then Judah does need ‘another God’ if indeed they do believe in and are covenanted to Him. Are you prepared to reconcile across this broken bridge? Then you have to change or reconsider your bottom line condition. We are obviously talking in circles which offer no possibility of reconciliation. Are you prepared to take this topic off the agenda? If so, we can then try to get Judah to do the same – which we are doing anyway? If it remains your bottom line, then know that there will be NO Reconciliation. And this also applies to Judah. And the 2730 year rift will continue. I do not believe that HaShem will fix this by bending our stubborn resisting minds. WE are in control of that part of the Rift and He is waiting on US to deal with it. Yes that’s the point! and I am glad about your response Al and also Pete! Accepting each other means also in each others belief and not that one overrides the other by converting the other to your own belief, what would mean to deny our own belief respective the Messiah. As long Kol ha Tor does not humble themselves also and makes no attempt to convert their belief on us , no reunification will happen, neither cooperation, at least not from my side. Thank again Al&Pete! I love my Jewish brethren but I will not make their belief to mine. Children, make no mistake, clear warnings about that had been spoken out from our Messiah when He walked on earth. shalom! sorry, in my excitement I didn’t finish the sentence correct as it should be : As long Kol ha Tor does not humble themselves also and makes no attempt to convert us and force their belief on us , no reunification will happen, neither cooperation, at least not from my side. and the most important point is, the reunification does not go out from our own works, power and strength but from the Ruach Qodesh of our Elohim of a-l-l Yisra’el. The Ruach wants Peace in Zion. It wants 12-Israel restored to ONE nation who will not vex each other any longer. As co-founder of KHT I can assure you that we do NOT go around seeking who we can ‘forcibly convert to our belief.” It so happens that many Ten Tribers who return to Torah Covenant are also drawn to Return to the land – the basic Divine presept of the entire exeercise, the Birth Right of Ephraim and Judah. When they approach us, it is not an issue of ‘our pride’ to assist them with information on how to become citizens of their Promised Land. These are plain factual government controls: ONLY Jews can become citizens of this Land. It seems to be Divinely ordained, for HaShem put Judah in control, protected them throughout the exile and returned them to the Land to kick-start the Reborn New Israel. And, paeradoxically, it was secular Jews who created the New Israel. Israeli governments are and has mostly been secular governments – but, the Jewish Torah and Culture is fundamentally part and parcel of the package. So, if returness truly want to return – and there are many and increasibngly so, then there is nothing to be proud of for us to advise them regarding the governmental requirements to become israel citizens – for it is truly attempting the IMPOSSIBLE. But, it is clear that HaShem honours the persisttency of such Returnees for generally they do achieve the Impossible and do become citizens. In fact, this achievement is truly humbling for us, knowing and observing that the Impossible can be achieved notwithstanding the Closed Doors. There is nothing in it for us to have to “humble ourselves”. And there is no achievement for us in it to observe the Miraculous coming about irrespective of our inabilities to open these Doors. Yes, indeed HaShem DOES IT ALL – but, He cannot do it by Himself. He can only assist those who present themselves and their Faith for the impossible. I think it would be callous of us to refuse to assist them in their needs. There is NOTHING that forces anybody to convert to Judaism in order to inherit their Promised Land Birth Right. We must have rocks in our heads to go around seeking souls to attempt the Impossible. It is simply fear on the part of Torah restoring Ten Tribers that resist HaShem’s Call for them to Return to and claim their Heritage. Fear mixed with and thriving upon mis-information seeded by the enemy of His Kingdom. If I may, I would like to ‘throw it down’. I do agree that the unprecedented blossoming of the relationship between Jews and Christians seems to be despite the Rabbis, certainly not because of them. It is also despite most Jews. I would like to defend them though. I think that many Christians have a negative view of rabbinic law. It comes through the rabbis and usually has a bit of divine inspiration and a great deal of wisdom and thought in it. I spent a lot of years throwing rocks at it, trying to find flaws, and found shockingly few. Many who criticize the rabbis don’t take the time to learn where the shortcomings really lie. Trust me, I have a few very harsh criticisms of the rabbis, but rabbinic law is enormous and complicated. It is also an ongoing process. It is also generally a good spiritual guide. But only generally. In my humble opinion, what is going on is the Christians who are seeking answers are going into uncharted territory, and they fear coming close to something which is monolithically Jewish. If they come close, they will get sucked in and lose themselves. There is a lot of really beautiful rabbinic literature on tzitzit, but you folks refuse to follow it. I suspect it is because you need to be outside Judaism. The concept of ‘naaseh v’nishmah’ “we will hear and obey” so basic to Jewish acceptance of Torah, is unacceptable to you, and I think I understand why. I am anti-judgment these days and have an open door policy. The only rule that I know of is that being in the land of Israel requires a minimum of the seven noahide laws. Unfortunately, it could be argued that many Israelis don;t observe them. Many Arabs certainly don’t. Many Christians certainly do. I will say that I am struggling with the definition of avoda zara, idol worship. Does a relationship with Jesus/Yashua constitute a form of worship that is forbidden? My understanding is that many Christians struggle with this as well, and have thus rejected Christmas. To be honest, after asking this question many times, my impression is that there are no clear answers, and that anyone who claims there are, is certainly wrong. One final point: Christians need to understand that expecting Jews to believe in Jesus is wrong. Jews need to understand that a relationship with Jesus is essential for Christians, and that it may be okay for them. If it was really evil, then the beautiful Christians I have met wouldn’t be nearly so beautiful. Not everyone needs to be Jewish. Judaism is not the ultimate religion or the religion for everyone. It is my path, and the path for my wife and children. More than that I don’t feel qualified to say. Blessings, brother Eliyahu. We speak often of you and your dear family, particularly the fellowship we shared in your sukkah. This is a challenging journey and we all walk in uncharted territory. May Hashem guide us through the turbulent seas and hidden rocks. Ultimately, it is His plan to be unfolded at His pace. May we all walk with the grace and shalom you have displayed so often! Eliyahu, your “anti-judgment these days and open door policy” is inspiring and certainly counts massively for the much needed reconciliation between Ephraim and Judah. This does NOT mean that Ephraim should now start rejoicing that Judah is caving in to their Messianic beliefs. As you say, there are no clear answers on this topic (on both sides) and the only way to deal with such a topic is to put it aside BEYOND discussion. Such discussions and conditions placed upon it from either side are NOT conducive to reconciliation. Let us concentrate on the ‘beauty’ that Eliyahu refers to (of Torah Return, we would add) which underlies the need for and the potential of much needed and Divinely required Reconciliation. We should also clearly analyze and distinguish ‘Christianity’ from ‘Ephraimite Torah re-awakening’ as required for such Reconciliation. There is a wide and vital difference between the two which Judah does not recognize clearly yet and which even Ephraim is not always aware of. Few Ephraimite restorers though would want to be linked to ‘Christianity’ which they would regard as an insult. There is a great development these days that many Ephraimites no longer even want to be regarded as ‘Hebraic Restorers’ which they discard also as being off the real Torah return Track. The Move no doubt is towards Torah Oneness based on Judah’s model more and more. This points to the Reconciliation which HaShem no doubt requires of the two Sticks becoming ONE. I do agree with everything you just said. I used the term Christian though I realize it was inaccurate and poorly serves the dialogue. I think many Christians and Ephraimites would be shocked at how little most Jews know about Christianity. I know that I was shocked at my own ignorance, and still am. That is another reason for my non-judging: I simply don’t understand enough. I am convinced that the origins of Christianity were not outside of Judaism. I think we are speaking of a return to roots. I think some Jews in Israel are going through the same thing: a return to roots. Orthodox Judaism is seen as more religious, when that is clearly false. An Orthodox rabbi is required to learn kashrut, family purity, and Shabbat. But they are entirely ignorant of purity and impurity as applied to Temple, agricultural laws, and the Temple service. In short, they are ignorant of 70 percent of the Bible. The chief rabbinate restricts itself to kashrut and Shabbat, ignoring things like the clear and obvious flaw in the calendar (a major issue), paying lip service to Shemitta, and grudgingly dealing with conversion (which they have made an utter mess). In the rise of the evangelical connection and the ephraimites, where has the chief rabbinate been? Their single response to any non-Jew is “convert”. This is not a one-size-fits-all issue, and even if it were, the rabbis are awful when it comes to conversion. I believe what we are seeing is the reappearance of ger toshav, a concept that is common in the Torah and well-developed with clear laws. It is Torah, not conversion, so the rabbis today are clueless. I sincerely believe this is the natural, organic, divinely inspired appearance of what was once an essential part of Israel, and very much not an outsider. I sincerely believe that your souls have been divinely guided (and I rarely speak in such terms) to return to Israel, but not as Jews. I can’t guide you, but I can shut up and not tell you what to do so you can listen to your souls better. One point has to be emphasized at every step along the way: The Torah has no problem with non-Jews who are part of Israel, living in Israel, going to the Temple. There are many who oppose this, most notably the secular who claim to be pluralist but are clearly not, and the Orthodox Jews, who refuse to leave behind ghetto Judaism. By accepting you, I am simply doing what the Torah clearly states. There are too many nay-sayers for us to argue. And all of the people involved are too amazing and nice for me to want to argue. Even you, OvadYah. Especially you. When are you coming to the Golan. Eliyahu, you are to be commended for your perfect honesty regarding lack of proper insight into the true soul identity of this ‘beautiful people’, in your estimation, who are being created by this Great Phenomenon of non-Jewish turn to Torah. This is something that few Rabbis will admit. And, to make things worse, according to Divine Plan, these people are physically the Egyptian Yoseph of Scripture who was not recognized by ANY of his brothers – not just Judah. While I agree with your assessment of the failings of Rabbis, I have to raise an important Cautionary here. More so because I am so well acquainted with “Ephraim culture”. coming from that source myself, having ‘returned Home’ to my Hebrew heritage which always have been, and by Divine Mandate, are appointed as HaShem’s Lawgivers (Mechoqeck Gen. 49:10). While you and I are now also standing in danger of washing our family clothes in public, it is important that these issues be discussed in order to promote Reconciliation between Judah and Ephraim. This Cautionary correction is necessary because of one of the greatest negative factors that Ephraim is guilty of: misinformation about and lack of true insight into ‘Rabbinic culture’ – exactly as you point out in Rabbis. As a result they are prisoners of 2000 years of Church tradition which bad mouthed and disqualified Rabbinic authority to interpret the very limited stock of Written Word that we have. Anti Rabbinism and anti-Oral Torah thrives on the research into these Jewish guiding writings in order to dig up what is regarded as evil therein – even if they mostly do so by miss-interpretation and out-of context with Jewish history and circumstances against which Jews always had to defend themselves. Most critics and rejecters of Rabbinic interpretation (Oral Torah) have never yet sat down, many even for 5 minutes, with an orthodox Rabbi to be exposed to their knowledge and insight. Well, I am in the fortunate position to have been led throughout the Hebraic Restoration culture. My 50+ years as commentator are well covered in in-depth reasoning with commentators of ALL types. I have been publishing Hebraic Restoration principles actively for most of this time. So yes, I know more than average on this topic. I have also had the privilege to work in-depth with certain Rabbis who are enlightened to this topic and I am constantly exposed to Rabbinic insight in my search and communications. And believe me, whenever I have sat down with a Rabbi for an in-depth session, I stand amazed at their superior knowledge and insight compared with my own. In fact, it makes me feel like a baby in diapers! When I quoted Rabbi Avraham Feld once as a ‘scholar’ on the topic of the 2 House Restoration (which he no doubt is as the leading informed rabbi on this topic in the world), he took exception to my statement and said: “You are making me the laughing stock of my colleagues. Only when, after another 20 or 40 years perhaps, they acknowledge me as such, will I warrant the term scholar.” Wow! Compare that with the ‘Johnny come lately’ Ephraimite commentator (may he be Blessed) who have only recently become aware that the Shabbat is being on Saturday, not Sunday – and who has never seen the inside of a synagogue – but wipes the entire 3500 year Academy of Rabbinic learning off the table with one foul swoop! So, yes, the learned Rabbis are unaware of the Ephraimite re-awakening. Halachic rule structured carefully over centuries do limit their acceptance of these ‘beautiful people’. But they remain the appointed instructors of Torah, whether we like it or not, whether we agree or not. And rather than discard this Academy, Ephraimites should subject themselves to this Divinely appointed Guidance – not as morons or spiritual slaves, but by careful accumulating of that which can draw them closer to righteousness. The alternative which many Ephraimites will grab however, is to accumulate ‘evidence’ against the Rabbis. “I will bless those who bless you and curse those who bad-mouth, derogate, despise you” (CHECK original Hebrew). In Jewish tradition, learning is done in pairs. Hmmm. Yes, that was an open invitation. I once heard the story of a gentleman who converted to Reformed Judaism specifically because he feared Orthodox Rabbinic “micromanagement of his Torah observance.” Is it possible Ephramites have similar fears? – Fear, raised by the above concepts and resultant hesitance to gather proper facts. i. e. turning a deaf ear, refusal to read or search. Having been intrinsically involved in both sides, Pete, let me assure you that orthodox Judaism is the most ‘democratic’(least dictatorial) of all religions that I know of. No doubt, there are exceptions – and these will be used to raise the fear-level of the hesitant Returnees. And of course, the Return Process will be stricter for returning ‘Egyptians’. Further, Returnees actually create the negative factors themselves, and rightly so, for their insistence to want to Return ‘their’ way and not Judah’s Way. I see the Hand of Control by HaShem in this, for if any Ephraimite has any ideas of trying to change Judah’s leadership strategies, better they remain in Egypt where they are before the Land will most certainly spew them out once more anyway. The return Process is for those who want to truly be part of the ONE Nation of HaShem; His Family, His Land. A great Rabbi of our Time has remarked: “There is not even one Jew in the world amongst the most righteous, who complies with even 50% of what the Torah expects.” There is no religious policing in Judaism and, committed to Torah, Jews do not judge their fellow believers or citizens. I don’t like bringing conversion into the dialogue, from either side. I also don’t think “Judah’s way” is relevant to the Ephraimites. I prefer to think of symbiosis rather than integration. Again, Thank you! I agree with all three points. Multiple times you have stated that 10-Israel rebelled against the House of Judah. As I look at Scripture, I do not think that statement accurately reflects what Scripture tells us. I Kings 12:16 and 19 articulate that the house of Israel rebelled against the House of David, not the House of Judah. This is an important distinction. Al McCarn and I have had a lengthy discussion about this very matter this past weekend and it has direct bearing on why Ephraim is loath to come under Rabbinic authority. Solomon had been heavily influenced by Egypt and had begun using forced labor from the House of Joseph. His son, Rehoboam, was following the same pattern. Is it possible that the perception was that the House of Judah was becoming an aristocratic class while Joseph was being ‘led back to slavery’ at the hands of their own brother, and particularly the Davidic King in which they had 10 parts? As long as Rabbinic Judaism lords it over Ephraim and seeks to place a yoke upon his neck as Solomon and Rehoboam did, do you expect any less resistance than the historical enmity? From our perspective, Yeshua is the son of David who will finish the Messianic job. His first mission was to the House of Israel and their (our) regathering, resulting in the fruitfulness that is manifesting today in the Torah Awakening largely among Christians. Does 2 Samuel 19:11-12 play into this? Who was first to acknowledge the King in exile? And, who had to recognize him before he would return? I bless both of you gentlemen and thank you for your willingness to interact. It is a joy to be on this journey with you. Symbiosis – “the living together of two dissimilar organisms”. As with Judah and Ephraim. Question is: what Laws will operate for such a nation? Two different sets? This was NOT the case when 12 Tribes covenanted at Mt Sinai, including a great proportion of the nation being Egyptians who moved out with Israel. The Law as directed by Moses operated on ALL of them. It is resistance against this Divine Legal System and a preference for licentiousness which causes potential ‘returnees’ to claim a “2-State solution”. And it is resistance by Judah which wants to make of the returning captives a 2nd Class citizenship as with “Apartheid” rather than complete integration. This, while claiming the Blessings of Tiorah for themselves rather than for all nations, as all Rabbis will confirm in their commentaries about Shavuot and the receiving of the Torah for ALL nations. When the 12-Tribed nation of Israel split and the nation turned to idolatry and Torah rejection, carried astray by the wealth of the mighty Israel Empire that Solomon built, the Shechinah Presence of God departed – and will NOT return until His nation reconciles with each other into ONE Nation again – not a 2-State solution! There can be NO Restoration of a re-united Israel without the 10 Tribes returning and reconciling into ONE re-united 12-Tribed Nation. Why 12 Tribes? Because 12’ represents totality, wholeness, and the completion of God’s purpose. There are 12 tribes of Israel (10 of which must be restored in order to reach completeness in the Nation of the God of Israel. ), 12 months in the year, and 12 houses of the zodiac. The “Code of Jewish Law” teaches that ideally, every synagogue should have 12 windows, thereby recognizing diversity in people to make up the complete Body of God’s Nation. In Western Music there are 12 different musical notes only. All the songs of all the ages, all differing yet only built on 12 notes. Take one note away, and the vast majority of all music will disappear in incompleteness. And those that may remain complete, will be of very basic structure – like ‘wrap music’ also – more irritating than pleasing and not complying with the vaguest definition of music. 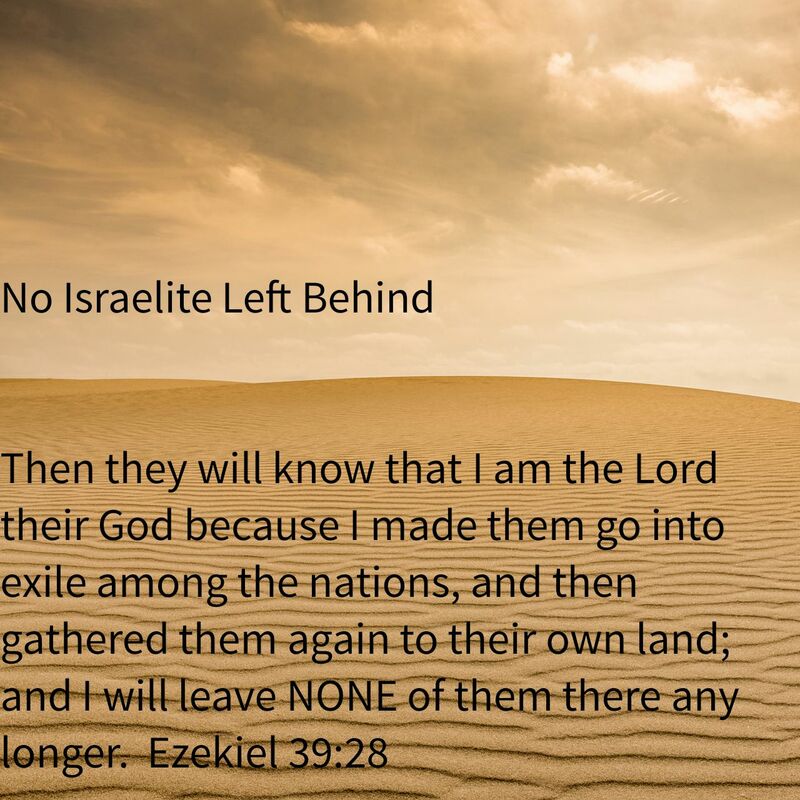 Regarding the reason for the exile of 10-Israel from the land, Pete, let us settle this here once and for all, what the reason was for God’s rejection and exile of 10-Israel. Yes, they rebelled against Rehoboam’s (Judah’s) heavy taxes on them, but that is NOT why God rejected them and destroyed the World Empire of Israel. Let us read it from the Scriptures. Unfortunately your Forum system does not allow for colour formatting, bolds or underlining, so I will highlight these confirmations using ### signs This is nothing new: From the 1st page of the Bible, the Divine conditions are always: Keep my Laws, Decrees, Statutes and Covenant and I will bless you. Discard them and the Land will spew you out. 29 Nevertheless, each national group made its own gods in the several towns where they settled, and set them up in the shrines the people of Samaria had made at the high places. 30 The people from Babylon made Sukkoth Benoth, those from Kuthah made Nergal, and those from Hamath made Ashima; 31 the Avvites made Nibhaz and Tartak, and the Sepharvites burned their children in the fire as sacrifices to Adrammelekand Anammelek, the gods of Sepharvaim. 32 They worshiped the LORD, but they also appointed all sorts of their own people to officiate for them as priests in the shrines at the high places. 33 They worshiped the LORD, but they also served their own gods in accordance with the customs of the nations from which they had been brought. ### 35 When the LORD made a covenant with the Israelites, he commanded them: “Do not worship any other gods or bow down to them, serve them or sacrifice to them. 36 But the LORD, who brought you up out of Egypt with mighty power and outstretched arm, is the one you must worship. To him you shall bow down and to him offer sacrifices ###. 40 They would not listen, however, but persisted in their former practices.41 Even while these people were worshiping the LORD, they were serving their idols. To this day their children and grandchildren continue to do as their ancestors did. Ref. also 1 Kings 11 and 12 and the books of Chronicles. I guess that you will still have reasons for discarding this – so, our valued discussions seem to be all in vain. Thanks for the opportunity to re-confirm this for myself once more, even stronger. I read 2 Kings 17-19 yesterday morning as part of my personal study time before our Shabbat gathering to confirm the very thing I said to you. 10-Israel rebelled against Hashem and His Torah, not against the House of Judah as you previously stated several times. Ephraim IS returning to Hashem and His Torah. And, it is happening largely without rabbinic oversight. Why do you demand that we come under the yoke of the rabbis? Do you need to control what Hashem is doing? Eliyahu is right. This is a holy thing that we should be loath to try to control or corral. I love you brother. Speaking against or trying to control/direct what the Almighty is doing into your box is a most dangerous thing to do. Ask Nadav and Avihu. Encourage it, but don’t seek control or place demands on it. Pete, let us try and prevent this discussion from becoming nasty. Let us keep an open mind to each other’s understanding in responding to each other’s replies to questions that we pose and investigate. We have an honoured and valued audience who are seeking the One True Way. Let us not become threatened by each other’s understanding … I am trying hard to do this … in fact, convictions cannot be threatened, and this is the problem with both of us who hold strong convictions. Firstly, I do NOT hold a personal insistence or ‘demand’ that Ephraimites convert. To me, it is the logic conclusion of the Bible Message as I understand it. I know that this understanding is threatening to many out there. I see this outcome as so elementary that it eludes the most informed minds. And this to me is how God operates. – God’s nation split and was exiled (no matter the reason – but let us not misquote the reason). – He wants to reconcile His nation and bring them back to the Promised Land from where He will rule over the nations through them according to His ‘System’ / Universal Covenant. – He draws them back to the land and back to the Torah Covenant. – they need to be ONE Nation with ONE Universal Covenant … it cannot be a split System or nation: ONE Constitution, Goal, Message, operation. The resistance to this ONE System hinges on one simple, clearly revealed factor: a Resistance to simple ONENESS. The returnees, in 2 camps, both generally prefer a “Compound Oneness”, a drawn closer to each other ‘oneness’ only, in fact a Dualism, a 2-State solution – anything but a simple integrated Oneness. Is it really that difficult to understand? The one party to this feud have the same problem with the Messiah whom they proclaim. In 2000 years they have failed to figure the ONENESS of HaShem which they contort into ‘compound unity, trinity, etc” anything but that “God is One’. With ‘Return to the Land’ being a vital foundational principle to this ‘becoming One’, another simple factor then pops up to block the Way entirely: Citizenship of the Land. Now when I suggest a simple solution, the ONLY current solution – ‘become a Jew’ (I.e. become ONE with Judah), I am accused of forcing ‘my’ Way. Excuse me? ‘My’ Way? The ‘Jews’ Way? Or perhaps God’s Way? Then the ‘easy’ solution: “God will make the Way”. I question this – when I read of how 12-Israel were ‘led’ into the Land. Bu a Cloud and a Pillar of Fire yes, but that did NOT prevent the national stress levels, persecutions, wars, obstacles, hassles, in short: LIFE! That part is left for us to manage, including making and preserving Peace. So, now I am making demands? Is it not perhaps rather a sane solution? – not an easy one indeed. The One True Way was never ‘easy’ – yet it is – so easy that it escapes us! Finally, regarding your point that 10-Israel returning to HaShem and not to Judah, because they sinned against HaShem and not against Judah. Correct – but, it remains the main factor that it was their rejection of the Torah as interpreted by God’s appointed Mechoqeck (by changing Succot to the 8th month, etc) which drew God’s Anger and rejection. God entrusted the Rule and reign of the Land according to Torah to Judah, and He appointed Judah, not 10-Israel, to be the interpreters of His Torah. Because they wanted to do it THEIR Way, He rejected them, So, logically, this is what they have to fix in the Return and come back to subjecting to Judah’s Mechoqeck interpretation. (B.t.w. did you ever read the Mechoqeck study – just Google it – and please give me your opinion). Do I demand conversion? Who am I to demand! But ask me (as you have done here above in this discussion) for my opinion, and I gave it. Why lambast me for that? That is MY opinion and understanding – and I clearly see how it cuts through the opposing 2-State opinion. No one is forced to accept it. And I am VERY willing to work together with anyone who disagrees, while we agree on other things, like ‘becoming ONE\ and serving the God of Israel according to His Torah, even if we differ on this, just as I do not agree with all Rabbinic interpretation – but I do respect them and do NOT rebel against their authority and I point the finger at myself, not them. So, I do believe that you and I can walk together the rest of the Way as in the past. And you don’t have to convert … just come and visit us in the land. Achim, this has been a powerful exchange. I think Eliyahu, of all of us, may most have the right of it. I hope I don’t butcher what he’s trying to say but it sounds a little like “I don’t know what I don’t know”. If Jews don’t know that much about Christianity, much less the return to Torah, and those of us from 10-tribed Israel don’t know that much of Judaism, should we all (both sides) maybe look to Moses and the humility he had, and what I see from Eliyahu? What I see is Al and Pete fellowshipping with Eliyahu and learning from each other and a relationship blossoming. OvadYahu, you’re talking the same points that Rabbi Feld and Yair Davidiy have said for decades, conversion to Orthodox Judaism is required; that hasn’t gained much traction, except for small numbers of people. For instance, I have a Facebook friend who is a former Christian pastor who is converting to Lapid Judaism, which I understand does not require him to deny Yeshua as Messiah. So, there are several sects of Judaism, Orthodox, Conservative, and Reform. Back in the days of the Second Temple, there were more sects, including those who split over the calendar (lunar vs. solar), but all were Jewish. The Acts 15 council (Beit Din) expected ex-Gentile believers to learn about Moses in the synagogues, not Enoch in the desert. But, in AD 135, believers were driven out of the synagogues. In Jeremiah we are told to set up the dolmens and to retrace our path back to our homeland. So I ask of Eliyahu and OvadYahu, of Al and Pete, if we retrace our path, should we return to the synagogue? And would we be welcomed as a separate sect of Judaism, as we once were in ancient days before the Rabbis gained complete control after the destruction of Jerusalem and the death of tens of thousands of nationalistic Jews in battle and to slavery? Are we not told to look back to Abraham our Father and Sarah our mother? The rabbis have had complete control for two thousand years, and they do say that the Second Temple was destroyed because of “hatred”, and contemporary Christian commentators because of the death of James the brother of Jesus. What if letting go of that hatred means letting go of control and letting YHVH be King over us all? If the Third Temple is to be rebuilt, wouldn’t the rabbis have to let go anyway and let the Zadokite Levitical priesthood be restored to their ancient function? I, for one, would have no problem listening to the Zadokite priesthood, as they ministered to YHVH and His people in the Third Temple, and to the prophets as they corrected and taught. Yes, I may be outing myself as anti-rabbinic, and in part, it is due to not wanting to carry a heavy yoke of man-made traditions, but to enjoy variety where there is room for different halacha. It is taught that prophecy cannot return to Israel until the people of Israel are back in the land. If this teaching by the rabbis is true, then is it self-defeating to keep 10-tribed Israel out of the land? Thanks for joining the discussion, Brian and for raising some sobering questions and observations. I accept the invitation to respond, and, believe it or not, do so without pushing conversion – though, I cannot remove the logic resolve towards conversion contained in the evidence that I propose for my responses. If the sun brings picturesque colour cascades to photos, I cannot apologize and should not be judged for the sun shining out there. Firstly, regarding the “poor traction” of our conversion convictions over the years, Scripture is clear that Truth will come to “one in a city, two in a region.” If we find ourselves amongst the majority, we should be concerned. You ask: “… if we retrace our path, should we return to the synagogue? And would we be welcomed as a separate sect of Judaism?” I ask, why that “Separation” condition? Do not all the multitude of Scriptures regarding the Restoration and the successful operation of nationhood emphasize “Oneness” and unity? While, as a ‘marketer’ in my former life, I appreciate the benefit of ‘cooling” and “watering down” the hard facts (which is how people select the ‘groupies’ that they support and co-operate with, as we see in this discussion also), my career and personal make up has taught me to display the raw and bare facts of any proposed product sale in my presentation. Only when one knows ALL the facts about a product or a service can one make an informed decision. And if the benefits in the end result weigh more than the disadvantages, the salesman need not hide the facts for fear that he would lose the sale. In reality it promotes a solid sale. This strategy made me a most successful life assurance salesman in my career. Yet I do cool it when wearing my COI hat, of which I am co-founder. COI is a Promotion of reconciliation http://coi-recon.org which fully 50/50 represents both sides. But, in this discussion I represent KHT (Kol Hator) of which I am also co-founder – and there we represent the Judah side only. You suggest that Rabbis “let go of their control” and let us allow HaShem to manage it all. I understand the scriptures to direct exactly this. However, HaShem is NOT in direct contact with mankind today … oops! Let me define … we cannot phone or write Him to ask His opinion on the Rabbis or which of the various contradicting-of-each-other Ephraimites commentators we should consult. Can I have a yes or an ‘Amen ‘ to that? And will someone then explain to me WHO to contact with such queries? The insight which I was given into the Divinely mandated Mechoqeck appointment of Judah, has settled that question for me soundly and solidly: “Judah shall remain the interpreters of the Torah UNTIL Shiloh comes: which points to the Coming of the Ruling Mashiach.” Judah has the Lawgiver seat (as your NT also confirms in Math. 23:2) whether they are right or wrong. SOMEONE has to have the say in the absence of direct communication from HaShem or the CEO of a company. And I read nowhere that Ephraim or any other tribe than Judah holds such a Mandate. We cannot just shrug this screaming fact away. Yet, constantly we hear the cry of “separateness”, “self rule according to the Written Word” … which does NOT give the specifics for a multitude of issues. Can we have a distinct yes or no, an ‘Amen’ on this also? Why the beating around the bush, the finger pointing and rejection of the Rabbis? You say that you are happy accepting a Zadokite priesthood – but not a Rabbinic authority. Can you define the differences clearly? Have you studied it? What if it is as “heavy a yoke as the Rabbinic man-made traditions?” This sounds to me the same objections as ancient 10-Israel who insisted on “separateness” and their own interpretation rather than Judah’s Mechoqeck interpretation from Jerusalem. Can we have even one ‘yes’ or ‘Amen’ to that? Am I really that confused? Am I pushing and demanding ‘conversion’? I think the common answer to what I am posing, viz. acceptance of and subjection to God’s mandated Lawgiver faculty answers that and confirms ‘conversion’ – hence its unpopularity. But, take all this wrangling about the burden of the Torah and Rabbinic audacity away, and we are still left with the IMPOSSIBILITY of settling BACK HOME in our land, this time by government rules. The solution to that problem, once again, raises the unspeakable suggestion which I am accused of pushing and demanding. So then, I hear, “Let God do the Job…” Easy escape. We can sit back, reject, dispute, confuse … and HE will fix it all. C’mon guys! You must be kidding yourselves. Stop kicking against the pricks and simply do what is necessary to help build not a separated, Apartheid, 2-State Nation but ONE united Nation. That does NOT mean ‘convert’. Stay in Egypt and Babylon where you are, but, at least comply with HaShem’s directives of who’s guidance to follow. So why do you not come BACK to the Land? Who is defeating the Cause, the Rabbis who are prepared to build ONE Nation according to their Mandate, or Ephraim who wants a SEPARATE State under separate Rule? And those of Judah who want to destine Ephraim to 2nd class status also by denying them Mechoqeck conformance or pampering them with a diluted ‘separate’ Torah, should ask themselves the same question. Mean time, we at COI and KHT are happy and blessed to work with ALL of you who are on the Return Way Home. We thrive on hearing your positions – please allow us to verbalize ours without bad-mouthing us. Blessings! HaShem IS in Control and His Will shall be done – IF we wish to conform – else Destruction faces us like the Kingdom of Solomon. Blessedly we have His Assurance that His Kingdom shall rule. Let us become part of it! I have no unpublished comments and have blocked nothing by you. If you are logged in, it should show. It could have been just pushing the wrong button, Pete. It showed as “To be moderated,” then just never appeared. Thanks for now publishing it, especially because I realize I am a pain. You are a brave man to keep publishing my responses unedited. I will now close my case and go away until next time, if asked or needed. Blessinggs and keep up the Good Work! This is a journey that Hashem is guiding. May we each hear His voice as He brings us closer. Ovadyah, if you’re a pain, keep being so! You are zealous and that I, for one appreciate!! I read this article (http://www.kolhator.org.il/Mechoqeck.php) some time ago, and it was good to re-read it again with fresh eyes. So, with fresh eyes, I saw some things I had not seen before. First, you are absolutely right that Judah is the Mechoqeck. Those verses you supplied back that up. The question is: what kind of law-giver? Moses gave the Law at Mt. Sinai, and he was from Levi, not Judah. When David wrote those verses in Psalms 60 and 108, he was King over all Israel. But he was not the High Priest. That was Abiathar, and later Zadok. David did not, as far as I know, issue religious rulings, but governed Israel according to the law. The priesthood and prophets provided the religious leadership. This divided religious-civil authority is implied in Zechariah with Joshua the High Priest, Zerubbabel, and the Branch (see further comments below on Deuteronomy 17). So, again, what kind of law? Given Isaiah 33:22, it is easy to associate “law” with the Torah. But, Judah was given the rulership and the scepter by Jacob, and that did not come to pass until David ascended to the rulership of Judah and then of Israel. His kingship was civil, based on religious law. Aaron and his descendants held the high priesthood and the Levites assisted them. The 70 elders of Numbers 11:24-25 were not drawn solely from Judah or Levi, but from all the “people”, the tribes of all Israel. Their responsibility was to help Moses judge Israel according to the given law. The men of the Great Assembly after the return from the Babylonian exile were composed of men from Judah, Benjamin, and the Levites, because the northern tribes were still in exile. Around the time of the Maccabean revolt, a group known as the Hasideans had arisen, and at this time, I am uncertain exactly who they were. I am not sure of their membership. Scholarship is divided, but I think it is likely that the Pharisees (both of Shammi and Hillel) were descended from them. We know that Rabbinical Judaism is descended from the Pharisees. Whatever their identity, the Pharisees numbered Levities, priests, and scribes. Non-Levitical Jews such as Hillel the Elder (descended from Benjamin and the House of David) rose to prominence among them. Today, any Jew can go to yeshiva and study to become a Rabbi. The Pharisees , Saduccees , Zadokian Jews etc, were in competition to be the religious leadership. The Pharisees won that struggle as Yeshua acknowledged in Matthew 23:1-3. It is important to note that while Pharisees had Levitical members, they were at odds with some members of the Aaronic descendants. With the destruction of the Second Temple and the Roman war, the Zadokian priesthood faded from the scene, but they did not perish from the earth (Jer. 33:18). This review of history shows that the Pharisees are indeed religious lawgivers, but they do not have the right to be civil lawgivers or kings. That is reserved solely for the line of David. To conflate religious law with civil law is sloppy scholarship and something of a bait-and-switch in my opinion. Second, let’s take a look at Deuteronomy 17. In the article, it’s got ellipses. Here it is in full. 8 If a judicial decision is too difficult for you to make between one kind of bloodshed and another, one kind of legal right and another, or one kind of assault and another—any such matters of dispute in your towns—then you shall immediately go up to the place that the LORD your God will choose, 9 where you shall consult with the levitical priests and the judge who is in office in those days; they shall announce to you the decision in the case. 10 Carry out exactly the decision that they announce to you from the place that the LORD will choose, diligently observing everything they instruct you. 11 You must carry out fully the law that they interpret for you or the ruling that they announce to you; do not turn aside from the decision that they announce to you, either to the right or to the left. 12 As for anyone who presumes to disobey the priest appointed to minister there to the LORD your God, or the judge, that person shall die. I want you to take note that two parties are consulted, the Levitical priests and the judge in office. This is combined religious and civil leadership. For the Rabbis to claim sole law-giving authority runs headlong into this requirement. In the article the sundering of the ten tribes from the House of David is presented as a religious rejection of Judah. That’s intended to reinforce the idea that the law here is religious law. What actually happened was a labor revolt, and then Jeroboam instituted religious apostasy to maintain his power because he was afraid that the 10 tribes would remember they were supposed to be loyal to David and the Temple. 4 For the Israelites shall remain many days without king or prince, without sacrifice or pillar, without ephod or teraphim. 5 Afterward the Israelites shall return and seek the LORD their God, and David their king; they shall come in awe to the LORD and to his goodness in the latter days. So we of Ephraim, as foretold seek the Lord our God. We seek David our King, in the Son of David. And we will come in awe to the Lord and His goodness, which some say to be the Temple. Hosea does not say we come to Judah to become Judah. Jeroboam’s apostasy is reversed in learning Torah and walking in it. The rebellion from Rehoboam must be reversed by serving David’s Son. So, your article, I think, has it exactly backwards. You join with us, and teach us the Torah as written in the book of the Law of Moses. You are not required to demand of us that we become Jewish. We are required to walk together. That’s, of course, halachah. “If you do not diligently observe all the words of this law that are written in this book, fearing this glorious and awesome name, the LORD your God (Deuteronomy 28:58; cf Deuteronomy 29:21, 30:10, Joshua 1:8, 8:31,34, II Kings 23:24; Tobit 7:12). In conclusion, I do agree that the rabbis of today are religious lawgivers, but they are not entirely Levitical priests, nor are they civil lawgivers. We of Ephraim read that we must return to the words written in the book of the Law of Moses (Deuteronomy 30:10). This is straight from YHVH by the hands of Moses. YHVH did not tell the exiled ones to return to Judah’s rabbis. The prophets tell us we must walk together. We must appoint for ourselves one head (Hosea 1:11). When we do, great things will happen, and the prophecies will be fulfilled. Thanks Brian for bearing with ‘the pain’ willfully – and I believe even in an effort, doing so, to continue further seeking. Your letter clearly reflects that you are highly informed, of great academic stature – and I certainly cannot compete on that level. I cling to the basics and the logic and I know that I have been blessed with seeing straight through the clutter of variance of opinions and – with respect – the muddle that especially academic reasoning can cause (as we restorers so clearly see amongst learned Church theologians from whom we have extricated ourselves). This does not mean that I am fool proof with all the Truth and I would be vain to expect that from an audience. Your reasoning against the Rabbinic order centers on the division of the Law between Civil and religious Law. That becomes a highly academic issue which civil and religious academics will have a field day on – and us poor humans standing on the side lines beholding this match will lose total vision of what it is all about. And of course, that is what governments, universities, institutions and special committees are meant for. In the end us poor mortals just go with the outcome, whoever wins the match. This does not mean that we do not have a voice – after all, we do the basic voting to put these people in power! The Jews/Judah is the Lawgiver (Mechoqeck) you admit and agree with me. Your letter reflects the division on the issue of civil and religious division that has existed throughout history within Judaism. And it is rampant in Israel today. This does not do away with the fact that the judicial faculty of HaShem’s Rule has been mandated to Judah. You are correct that right down from Moses there were other Tribes involved in this faculty – even Jethro, a Gentile who advised Moses! This does not remove the Divine mandate from Judah as a Tribe – they have to sort it out just as our elected governments, leaders, committees have to do. I therefore propose that the confusion between civil and religious does NOT do away with the authority that the Divine Mandate has awarded to Judah – and Judah has to sort it out – whether they use Gentiles, Levites, Tribers, Palestinians or men from the moon. They have a Mandate – and it is the Mandate that they have to perform and guard. Some of the greatest rabbis (like Akiva) were converted Gentiles! ).They have undoubtedly done a great job of this throughout Time – or there would have been no trace of Torah today and thus no Return to it poddiblr. And for me as a normal citizen of Israel, what do I care if it is civil, religious, municipal, regional, local, foreign – ALL these matters influence my life and need to be regulated. In Israel today, even if it is secular, believe me, there is a ‘smell’ of Torah at least – Jewish Torah, Mechoqeck mandated Torah. This is conspicuously and glaringly absent in ALL other governments on earth. And the world does not like it – and even Torah restoring Ten Tribers do not like it! Why? To me the answer is clear – and HaSatan knows the answer. That is what becoming part of the Land is all about. It is intertwined with the One True religion; it is the Will of the God of Israel. It is not a matter of “becoming Judah”. It is about submission to and identifying with a Life System, a National Culture and identity which is Torah based, citizens of a Land blessed by the God of Creation. If you are looking for a perfect system, it does not exist. But no one can present any other culture or nationality in the world today that is as intrinsically involved with God’s Torah as Jewish Israel. Even statistics prove that the Israeli nation, beleaguered as it is, is one of the most nationally satisfied nations on earth. Is that not perhaps why the entire Bible Message is so involved with “The Land”? The Church has contorted this to a mystic existence “playing the harp in heaven”. Is it therefore not perhaps true why re-awakening Israel has such a problem with accepting a “nationality” as the ‘Gospel’ rather than religion? Any group or nation ‘walking together’ needs a leader. Who will this “one Head’ be? – And Ephraim grabs at every straw to build resistance and rejection against the appointed caretaker of the One Head Whom we all follow, the spiritual leaders of Judah the Mechoqeck, the Rabbis. Until then, we cannot wish to walk together under One head. I think I can firmly state on behalf of this God that He is NOT interested in a divided State, a 2-State Solution. He does NOT want ‘apartheid’ but UNITY – as of ONE re-united nation under ONE Head. This Goal has eluded His People all this Time. And it really is so elementary to fix. So basic that it eludes the wise and learned. The answer is NOT to convert to Judaism – please stop misquoting me – it is simply to subject to and identify personally with the authorities, rules and regulations that have been set by the remnant of the Divinely appointed Tribe of Judah His Mechoqeck “according to their traditions” mi’bein ragleiv’-(mistranslated as ‘from between his legs’- Gen. 49:10). This Mandate did not stipulate who within Judah would be the Mechoqeck, whether civil, religious or whatever – the Mandate is to he TRIBE which clearly still holds this ‘Sceptre’ for themselves, if nothing else. You have ALL my support to try and solve this Great Problem.